A flexible spending account (FSA) is a great tool for helping you manage your health care budget. With an FSA, you have the ability to use pre‐tax dollars to pay for qualified medical or dependent care expenses. You choose how much money to contribute to your FSA, within limits, and you choose what qualified expenses to spend your FSA funds on and when to spend them. Some health care FSAs come with a rollover option allowing you to move up to $500 from the previous year’s FSA into your FSA for the current plan year. That will keep you from losing those unspent funds at the end of the year. If you are unsure if your FSA offers the rollover feature, consult your benefits documentation and/or your employer’s benefits specialist. A flexible spending account (FSA) is a tax-advantaged health care account. You contribute to an FSA with pre-tax dollars deducted from your payroll, and you can withdraw FSA funds for eligible medical expenses. This account may have a carryover amount from year to year, but typically FSA funds are “use it or lose it,” so be sure to plan as accurately as possible for your qualified health expenses. For a list of approved health care expenditures, please refer to our FSA Eligible Expenses page. If offered by the employer, you can open an FSA with any insurance plan. 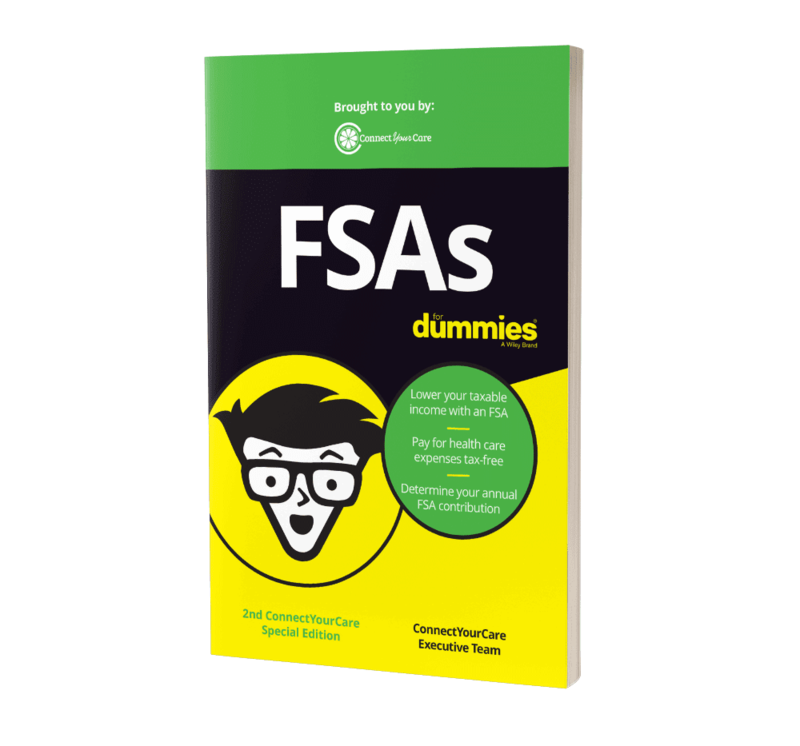 FSAs have historically been “use it or lose it” plans, meaning you may have to spend all funds within the calendar year. However, employers do sometimes offer a grace period — up to 2.5 months after the end of the year — or a rollover option — max of $500 year-to-year. Check with your employer for plan details. There is no expiration on funds in an HSA. Unused contributions are not forfeited at the end of the year. An FSA is owned by the employer. Typically, unused FSA funds return to the employer after you separate from the company. In some cases, COBRA continuation coverage is available that will allow you to continue using FSA funds after separating from the company. An HSA is owned by the employee. As a result, HSA funds are yours to keep in the event you separate from your employer. For more on FSA vs. HSA, check out the Health Account Comparison page. And remember to always consult with the employer’s benefits specialist to get information about your company’s FSA options. The Health Care FSA covers all IRS-approved expenses, including deductibles, co-pays, prescription drugs, select dental and vision care expenses, and many other items. A Limited Purpose FSA is combined with a health reimbursement arrangement (HRA) or health savings account (HSA) and covers vision and dental expenses only. Dependent Care Assistance Program (DCAP) — also known as a Dependent Care FSA — covers employees’ dependent care expenses while they work. What items are eligible for FSA? Qualified medical expenses are defined as: copayments or coinsurance, dental care costs, vision care costs, prescriptions medications, and some over-the-counter medications. Your employer may limit what expenses your plan reimburses; please contact your Human Resources office for more information. For a general list of approved health care expenditures, please refer to the Qualified Medical Expenses list. Get the answers to more Frequently Asked Questions. 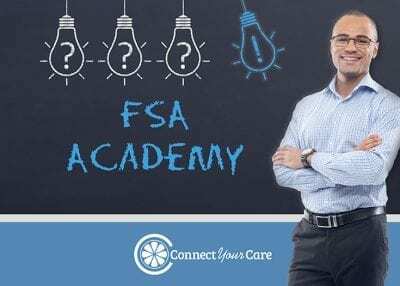 Visit our FSA Academy for quick access to videos, facts, and resources to build and test your FSA knowledge. Contributions to an FSA are made pre-tax, reducing your overall taxable income. Pay for hundreds of eligible expenses for tax-free purchase with your account funds, including prescriptions, doctor’s office copays, health insurance deductibles, coinsurance, some over-the-counter (OTC) medications, and much more. If your employer offers a payment card for your FSA, you’ve got convenience! You can use your ConnectYourCare payment card to pay for eligible expenses at the pharmacy, physician, dentist, online, and beyond. Visit the CYC Marketplace for links to several online retailers with FSA-eligible items as well as special offers for ConnectYourCare account holders. Using your card also automatically creates an activity history you can refer to in the future and reduces or eliminates the need to fill out manual paper claim forms. Master key FSA concepts and ask all the right questions. See how contributing to an FSA now can help your money go a lot further.